Africa is the second largest continent and yet considered to be one of the least known territories in the world. It is a land teeming with untamed beauty and remarkable history. The place offers a tourism dreamscape where the destinations are astoundingly amazing and awe-inspiring. Considered to be the land of discovery and exploration, tourism in the continent has been gaining popularity ever since the countries have opened its gates for friendly visits. Diverse and unusual, these very points have made the place a famed tourist preference. If you’re planning to visit Africa, you have to consider the climate and weather conditions of the country you wish to go to. You also have to know the activities that you’re planning to do since some of these activities are dependent on the place’s weather condition. In general though, springtime is from September to October; summer days are from November to February; autumn is felt during March to April; and lastly, winter is experienced from May to August. Needless to say, one must plan his activities in accordance to the African seasons in order to fully enjoy the best things that Africa has to offer. There are fifty four independent countries in the continent and each has a lot of things to offer but there are truly magical destinations in Africa that a traveler must see. These sites are the Victoria Falls in Zambia-Zimbabwe border; the pyramids of Egypt; the Masai Mara of Kenya; and the diverse region of Tanzania. Victoria Falls, named after Queen Victoria, is a majestic body of cascade water which is located at the border of Zambia and Zimbabwe. Awarded as one of the Seven Wonders of the Natural World, you cannot find anything that is larger. It is more advisable to use the borders of Zambia rather than Zimbabwe’s because of political instability. The country’s culture is principally Bantu but with a trace of European influence. Zambia’s capital is Lusaka but the most popular city is Livingstone because of its proximity to the falls. 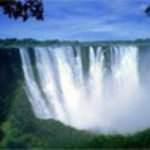 It is accessible through flights to Livingstone airport. 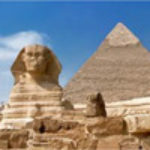 Second destination is the ancient wonder – the pyramids of Egypt. It is the only one still standing among the Ancient Wonders of the World. Often thought to be a Middle East territory, its geography lies in the African continent. The pyramids of Giza is without doubt one of the oldest destinations for tourists. It will leave you in awe each time you will gaze at the greatest structural feat of ancient civilization. One of the best known cultures in the world, its civilization has been recorded thousands of years ago. It is a melting pot of different cultural influences namely European, Middle Eastern and African. The capital and most popular city is Cairo. It can be reached through the Cairo International Airport. 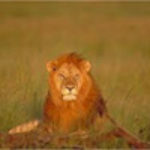 The third is the magical place of Masai Mara of Kenya. Very few places on earth can offer so much enjoyable activities such as this African country. 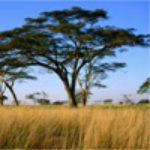 It is the place of vast safaris, the savannah home of Africa’s “Big 5” and the nation of the ethic group of Masai. Its culture is a unique mixture of ethnicity with a bit of influence from different cultures that considered the ancient Kenya as the perfect meeting place. The capital is called Nairobi and it can be accessed from its major airport – the Nairobi International Airport. The last but definitely not the least is the distinct country of Tanzania where the almost endless plains of Serengeti and the snow-capped mountain of Kilimanjaro can be found. The world’s largest migration of wildebeest can be witnessed here and you can be humbled by the grandiose height of the highest mountain in Africa – Mt. Kilimanjaro. The culture of Tanzania is mostly governed by the different languages used by the natives, the foremost of which is the Swahili. Its capital is Dodoma while the largest and most known is Dar es Salaam. Julius Nyerere International Airport is the country’s busiest airport.